The start of a new term saw the introduction of a new initiative at Cockburn John Charles Academy which looks to support families in the local community with English as a second language. 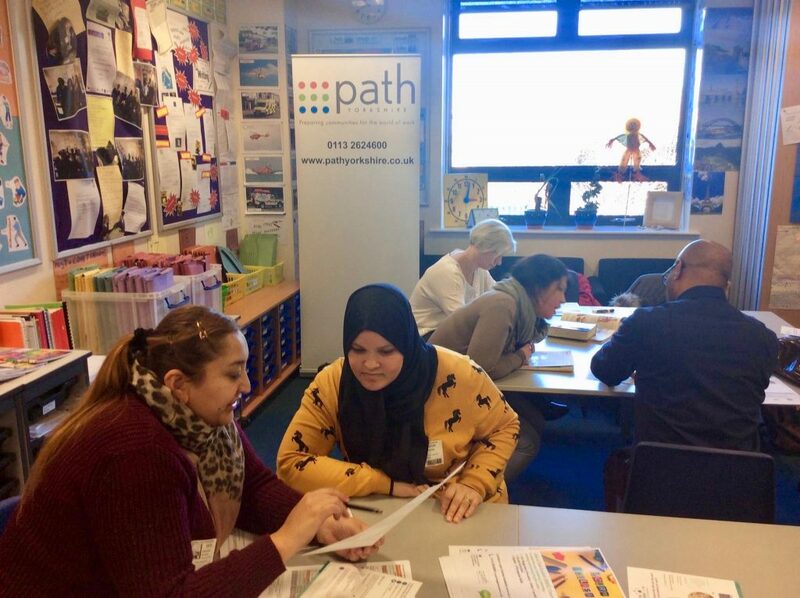 The EAL department at the academy is working closely with Path Yorkshire, a not-for-profit organisation who help to develop employability skills in Black, Asian and minority candidates, to deliver English lessons to parents and carers of children at the academy. The sessions run weekly and support people with low levels of English to improve their language skills, access services and get more involved in the local community. Any members of the local community who are interested in participating in the sessions are encouraged to contact the academy on (0113) 487 2800. For further details on additional support that PATH can provide, please contact the organisation directly on (0113) 262 4600.